This week's anime is going to be a weekly post that I will start covering what anime I watched that week. For the most part it will be one anime series a week unless I feel the need to post more than one. Seeing as I watch anime everyday I thought it would be a good idea to share what I watched that week and give brief thoughts on it. 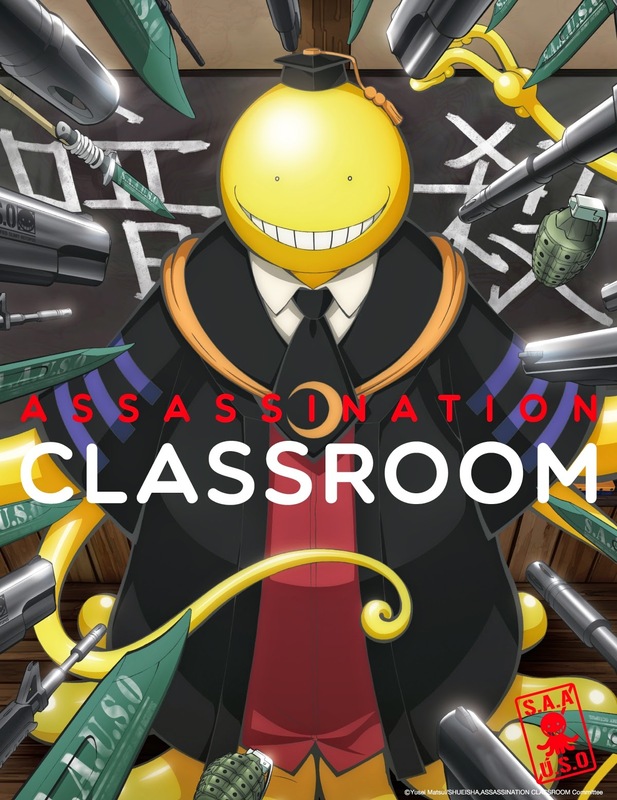 This weeks anime is Assassination Classroom. 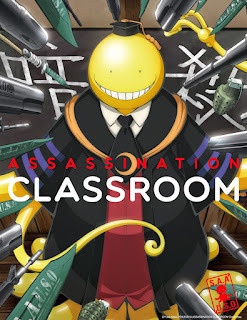 Assassination Classroom is about a creature who has tentacles and seems to be indestructible. He destroys have the moon and then threatens to destroy the Earth. Somehow the government makes a deal with him and he ends up teaching a class. 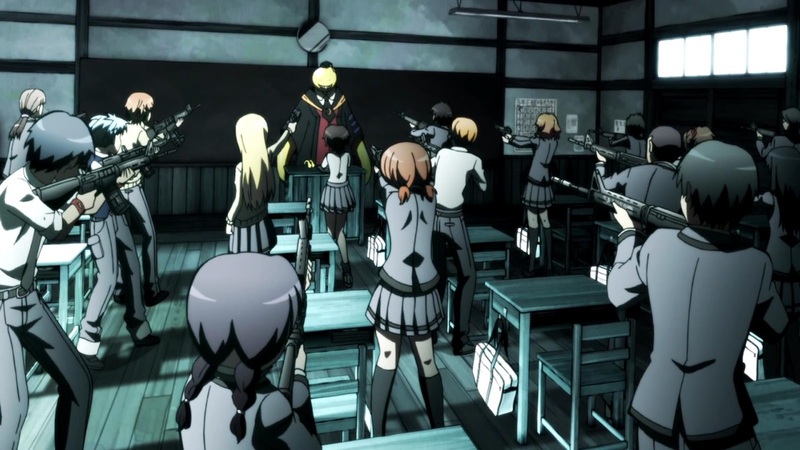 This class is filled with the misfits and rejects of a school in Tokyo. 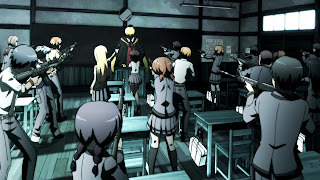 The catch is they will not only learn regular school work but learn how to be expert assassins. The hope is that someone will learn what it takes to kill the creature and become the savior of Earth. I happened upon this anime one day bored and thought I would give it a try. My first impressions of it was this plotline is really weird. But with most anime I try to give it a few episodes before I stop watching. Interesting enough with its weird plot and silly antics the show grew on me. As I got deeper into the anime things start to get more serious and you start to see more serious background stories and plots unfold. 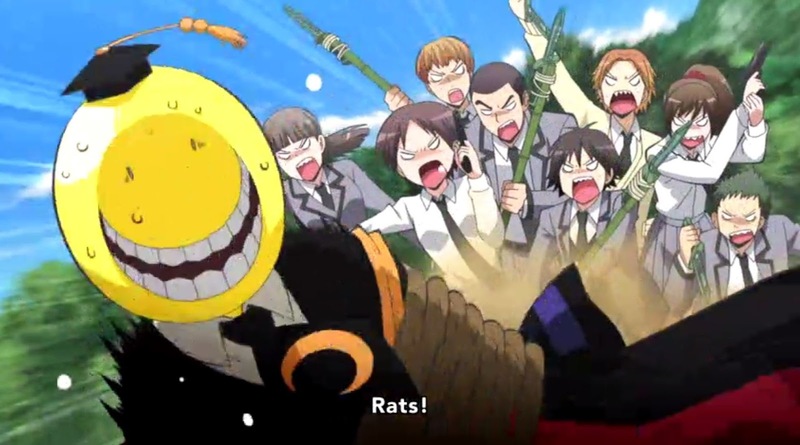 This is one of those surprise anime that I fall into every now and then and am glad I did. Its not the best I have seen but it is an enjoyable experience with a different plot than most anime fall under.